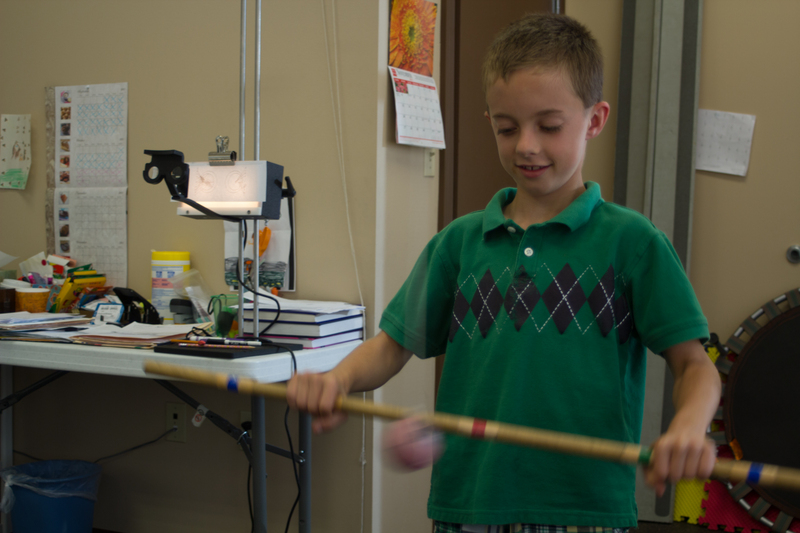 Vision therapy is an individualized system of exercises and lenses designed to improve the development of the visual system in the areas of visual-motor and/or visual processing. 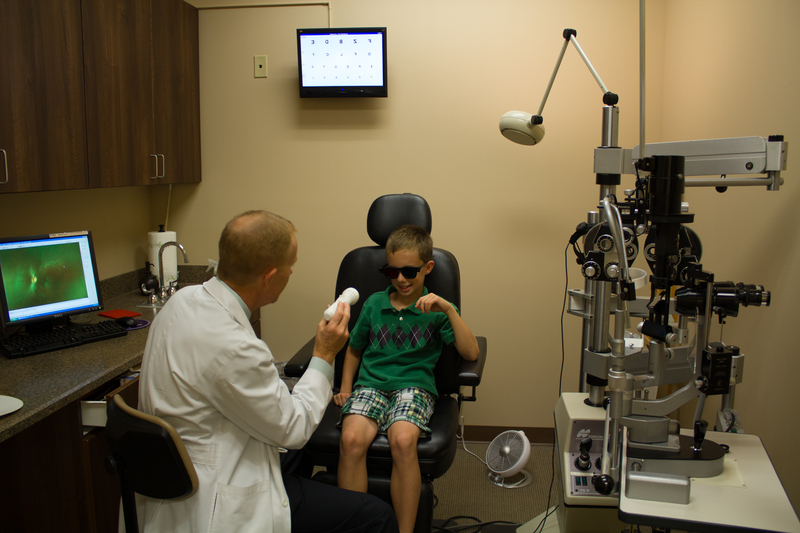 Vision therapy is for people of all ages. 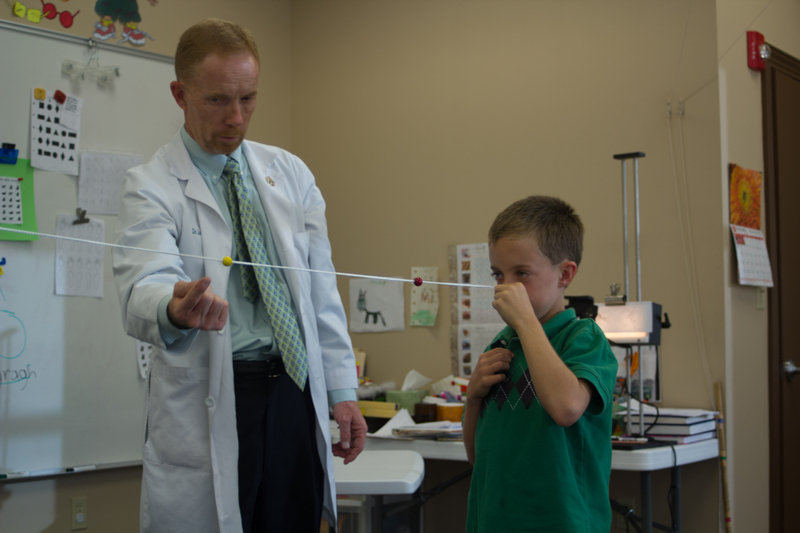 Anyone who can benefit from improved visual skills is a candidate for vision therapy. We have treated patients as young as one year old to patients as old as seventy five. What type of people have vision problems? Vision problems affect different types of people differently and for different reasons. 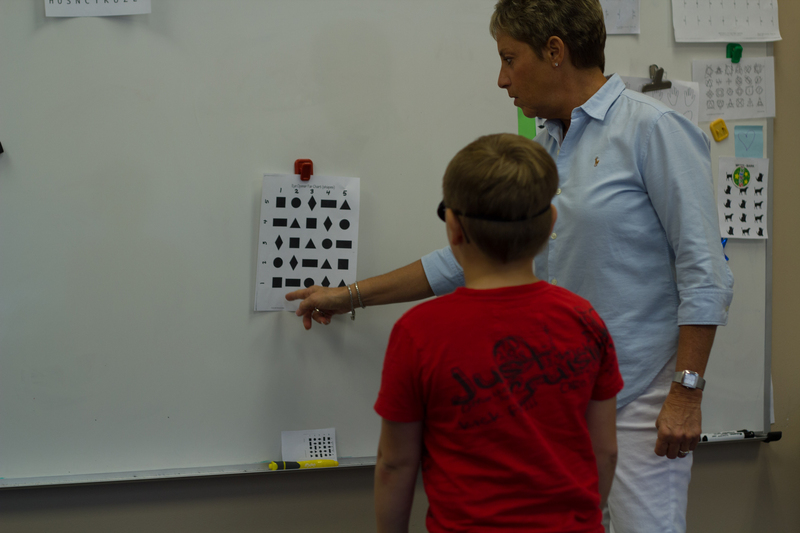 Some normal students develop vision related learning problems which affect their ability in the classroom. Others have conditions like amblyopia (lazy eye) or strabismus (crossed eyes). We have a nonsurgical approach to treat these conditions. We also treat those with acquired or traumatic brain injuries. These are individuals that have suffered a stroke, brain tumor, head trauma, or other condition that has affected areas of the brain that deal with visual function. We also work with individuals of the spectrum: from autism, persuasive development disorder, asperger’s, to attention deficit disorders. These individuals due to their special situation tend to have a vastly underdeveloped visual system. Vision therapy usually consists of one hour weekly sessions lasting from fifteen to forty five weeks depending on the conditions treated and the age of the patient. Does insurance cover vision therapy? Some major medical plans do cover. It depends on the individual plan and the patient’s diagnosis. What types of vision conditions do you treat? Ocular motility (tracking), visual motor integration (handwriting), accommodation (focusing), convergence, binocularity, depth perception, visual attention, visual memory, visualization, amblyopia, strabismus, visual processing, and central-peripheral visual integration. Ready to try vision therapy? Our vision specialists are waiting to hear from you.